Correspondence and legal documents pertaining to a case based on grounds of extreme cruelty. The husband promised his wife their own home upon marriage, but never wanted to leave his mother. 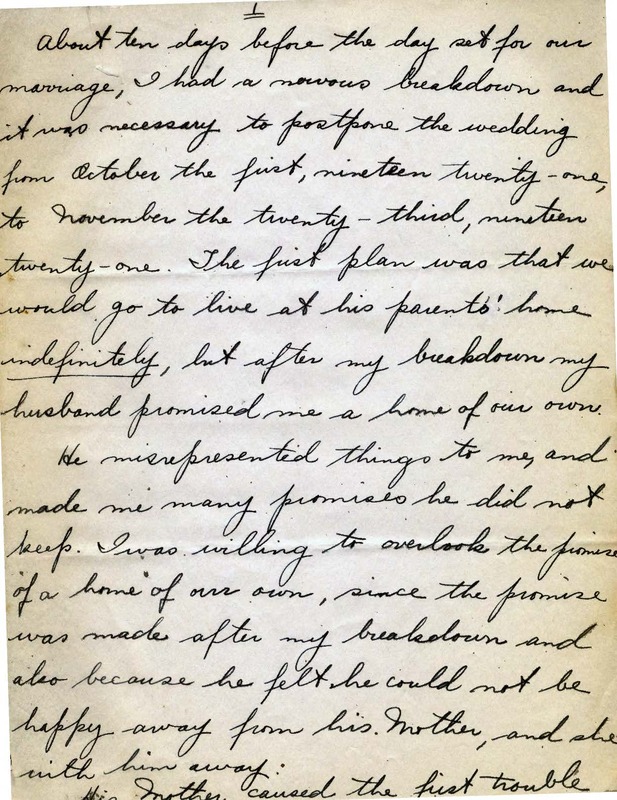 The following contains correspondence between lawyers discussing procedure, grounds, and other court details, and the handwritten testimony of the wife.